Paul Pena, a San Francisco blues guitarist who wrote one of the biggest hits for the Steve Miller Band, has died. He was 55. 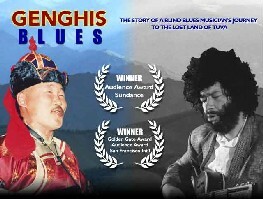 Pena is familiar to audiences for the 1999 Academy Award-nominated documentary "Genghis Blues," which tells the story of how he took up Tuvan throat singing. Pena died Saturday from complications of diabetes and pancreatitis. Pena, almost completely blind since birth and plagued by illnesses most of his life, was born in Hyannis, Mass. He proved to be a natural musician, singing and teaching himself several instruments. In the late 1960s, he was in a band that opened for big-time acts including the Grateful Dead and Frank Zappa. Blues artists ranging from T-Bone Walker to B.B. King to Bonnie Raitt recognized his talents, hiring him to play guitar in their bands. In 1971, Pena moved to San Francisco, where he played many gigs, frequently opening for Jerry Garcia's and Merle Saunders' bands. Pena became interested in throat singing when he heard a Tuvan broadcast on his shortwave radio in 1984. Later he found a Tuvan record, playing it countless times until he learned how to throat sing, which involves producing several distinct vocal-cord sounds simultaneously. In 1993, he demonstrated his technique to Kongar-ol Ondar, one of the foremost throat singers in the world. Ondar was mightily impressed with Pena, nicknaming him "Earthquake" and inviting him to come to Tuva to participate in the annual competition. 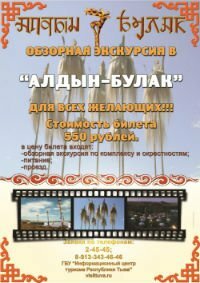 His 1995 journey to Tuva, where he won awards in the contest and charmed locals who were delighted with this foreigner who mastered their art form, is recounted in "Genghis Blues." Pena is survived by his parents, Jack and Virginia Pena of Harwich, Mass., and two brothers, Jim of Lynnfield, Mass., and Peter of Bridgewater, Mass. No date has been announced for a planned public memorial concert.